Think of the world for a moment. We can’t imagine where its going. Achievers are created at very small age, at the stage they began to walk. Yesterday there was a post regarding a girl becoming doctor at 13 but, here is more inspirational thing that a small boy at the age of just 5 had became a pilot. A 5 years old boy from China had made his achievement at his very early age. 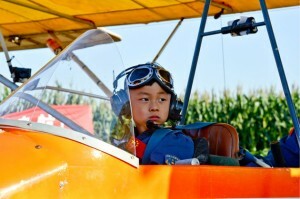 Can we imagine a 5 years old boy to be a pilot? It happened here. The boy is Yide and nicknamed as Duoduo. This young boy made a 35 minutes flight across Beijing Wildlife park. According to the reports, it seems that the trainer also was along with Duoduo at the time of flight but Duoduo made the flight without any assistance. The trainer stretched his arms during the time of flight to show that Duoduo made the flight without any assistance. He made his flight in Bee3, which weights around 100kg. He is considered to be the young pilot around the world. He achieved it because of his father. His father is He Liesheng and he works as a manager in a private textile company located in Nanjing. 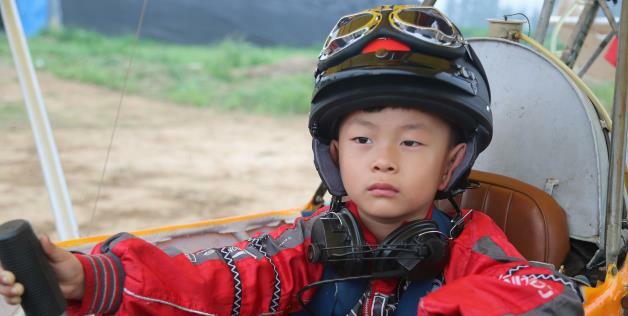 He said he spend 30,000 Yuan (3,153 Euro) of money for his son’s private flying classes. The classes for Duoduo were conducted for 20 days. He is called as Eagle Dad by Chinese media because there are few past stories of Duoduo. His father used to give extreme and grueling tasks for Duoduo and will make his son to complete that. He is considered to be strict and wants his son to achieve many things and that was the reason of Duoduo for being here. Duoduo’s father said that, he is collecting video clips of his son’s flight to make his achievement get placed in Guinness World Records. He is going to submit the video clips to World Record Association to make his son certified as youngest pilot in the world. For this training Duoduo has to wake up 4.30 in the morning and need to reach the airport at 5am daily. 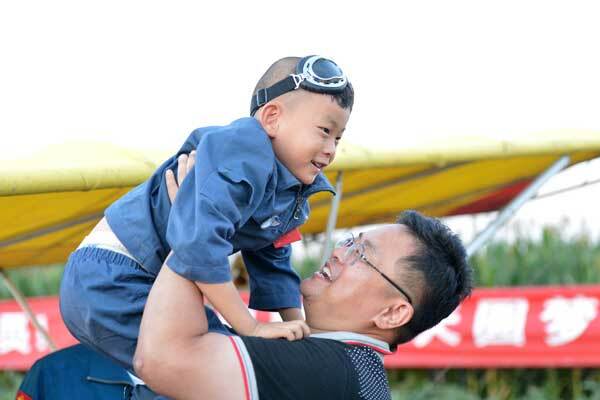 Duoduo is a brave boy and he had not been afraid of his first flight, his father said. Like twitter, in China a social micro-blogging site called Weibo is used by his father to share the training videos of Duoduo. Duoduo is now 5 years old but he started his achievements even at his earlier age. Last year there was quite interesting news about Duoduo. His father forced him to stand the in snow and do push-ups in the snow in New York. The temperature was around -13 C. This marked the headlines last year. He also done few more achievements such as climbing the Mountain Fujiyama in Japan during rainstorm. 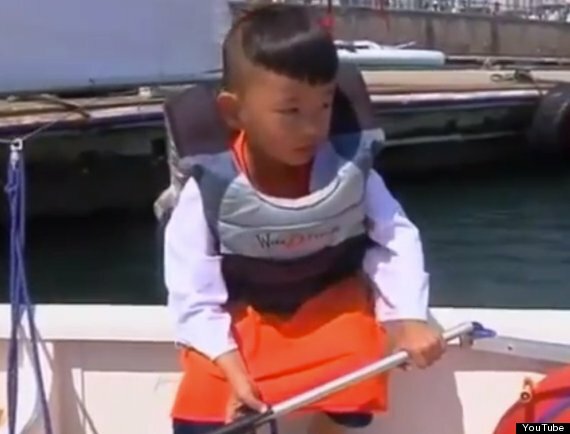 He also participated in International yatch competition where he sailed a yatch two times of his weight.These achievements are creating more inspiration and it’s really hard to believe at such early age. But, that really happens around the world. Its an achievement but there are few sayings that his father is using his son make gain him fame.